I picked up The Best of Laurie Volume 1 (LES-4003) at a garage sale the other week and it includes “He’s So Fine” by The Chiffons, “A Little Bit O’ Soul” by The Music Explosion, “A Little Bit of Soap” by the Jarmels and “Hushabye” by The Mystics, among other tunes. If you’re of a certain age, snippets of these songs will load and play on your mental jukebox in all of their AM radio glory and images of where you were when you last remember hearing them will flash on your internal big-screen before you finish reading this sentence. That’s the magic of music. The album also contains “The Wanderer,” “I Wonder Why,” “Runaround Sue” and “A Teenager In Love” Doo Wop songs sung by Dion, some with the Belmonts, some without. Again if you’re of a certain age these too will register instantly. I remember drunken group fraternity sing-alongs where we’d sing “Runaround Sue” changing one line from “She goes out with other guys to “She goes down on other guys.” Oooooh. We were so naughty in 1965 singing a song from 1961. 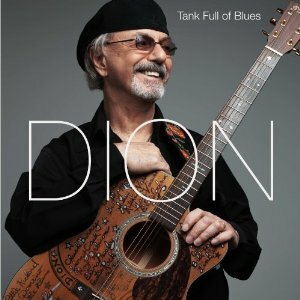 Listening to these Dion vocals now you can really appreciate what a great, committed singer he was right from the beginning on 1958’s “I Wonder Why.” The group scored an enduring classic with the oft-covered Pomus/Shuman teen lament “A Teenager In Love” (Bob Marley and The Wailers even covered it!). But Dion’s resigned, mournful version reigns supreme. When the teenage “thing” ended, ushering in the politicized protest rock of the ‘60s, Dion managed the shift with “Abraham, Martin and John,” as well as did Bobby Darin, another Bronx-born, street-smart (and Bronx High School of Science smart as well!) singer of Italian heritage. But the under-appreciated Darin is a story for some other time. Perhaps Dion’s tenacity, like that of the late Waylon Jennings, was in part influenced by his almost being on the plane that crashed in February of 1950 killing Buddy Holly, Ritchie Valens and The Big Bopper, among others. Dion’s career and personal life has had its ups and way downs since then, including a heroin addiction he acquired while still a teenager that he eventually kicked (after a few unsuccessful attempts), but clearly one of the “ups” was his 1962 solo hit “The Wanderer,” which it could be argued, with its boastful, swaggering theme that Dion delivered powerfully and convincingly, presaged rap by decades. His “wandering” between then and now could fill a book and he’s written it. In 2007 he released Bronx In Blue (see review: http://musicangle.com/album.php?id=426 an album of classic blues and country songs and now at age 72 he’s released this new album of blues originals, which I’ll get to in a minute, but it’s the final track, “Bronx Poem” that stands out as the set’s stunner. It’s a poem, a rap, an affirmation of life, an admission of fallibility and a belief in redemption. It’s a declaration of love for his wife as well as testament to his religious faith that manages to move this agnostic as greatly as Tim Tebow’s public declarations of faith repel him. Dion pulls it off with breathtaking depth and a level of sincerity I often find missing from Springsteen’s raps. He even manages to utter a few “yo’s” and get away with them. It takes genuine street smarts to sound genuine doing so and Dion obviously has them. The playing—Dion on guitar backed by drums and bass— is crisp when it needs to be and shimmering when that’s appropriate but all of the tunes are marked by muscular forward propulsion. A tribute to Robert Johnson “Ride’s Blues (For Robert Johnson)” takes a now overdone subject and turns it into one of the album’s highlights. Despite his age, Dion manages menace as well as any blues veteran and he remains a great, in-the pocket singer with impeccable phrasing and an ability to perfectly manage dynamic contrasts. Dion’s singing is so strong it’s easy to bypass his playing so after a few passes listening to the singing, try another few concentrating on the playing. The recording is as honest as the musical program. Dynamics are intact, processing is minimum and there are no gimmicks. When you’ve got a performer of this caliber you won’t be thinking about sound. Rave on, the kid from the Bronx! And Noel Gallagher’s High Flying Birds will release "Song From The Great White North," an exclusive 12” pressed on opaque white heavyweight vinyl. It will comprise of four tracks previously released as B sides; "The Good Rebel," "Let The Lord Shine A Light On Me," "I’d Pick You Every Time" and "Shoot A Hole Into The Sun." Only 2000 copies of each will be pressed for the UK and will be individually numbered. In 1958, the Coasters record what will prove to be their only US number one hit, "Yakety Yak." In the UK, it reached #12. In 1958, the Champs started a five week run at #1 on the US singles chart with "Tequila," a #5 hit in the UK. In 1967, Otis Redding, Eddie Floyd, Carla Thomas, Sam & Dave and Booker T and The MG's appeared at London's Finsbury Park Astoria on the first night of a 17-date UK tour. Also in 1967, working at Abbey Road studios in London, the Beatles finished the recording of "She's Leaving Home" after adding backing vocals to the track. Harpist Sheila Bromberg who was part of the string section on the track became the first woman to play on a Beatles recording. In 1967, Bobby Vee recorded "Come Back When You Grow Up", which will reach number 3 on the Billboard Pop chart next September, becoming the 12th of his 14 Top 40 hits. 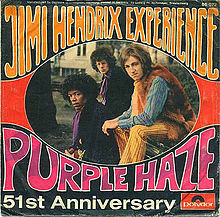 In 1967, Jimi Hendrix released the single "Purple Haze." In 1968, the Bee Gees made their television debut on the Ed Sullivan Show. They performed "To Love Somebody" and "Words." In 1972, Ringo Starr released the single "Back Off, Boogaloo." In a 1977 interview, Starr explained that the phrase "Back Off Boogaloo" was inspired when he and fellow musician (and close friend) Marc Bolan had dinner one night, and Bolan used the word "boogaloo" multiple times in his sentences. Starr said that after dinner, when he had been half awake and half asleep, the beat and tune for the song had become stuck in his head. He went to find a tape recorder to record the song but had trouble when all his tape recorders either were broken or had no batteries, adding, "So, I stole batteries from the kids toys and I got the song down." In 1973, Dr. Hook & the Medicine Show’s single, “The Cover of the Rolling Stone,” peaked at #6 on the US chart, but was banned in the U. by the BBC, due to rules about product placement. In 1978, four Irish, high school teens who call themselves U2, win the top prize of £500 ($1,000) in the Limerick Civic Week Pop '78 Competition, sponsored by The Evening Express and Guinness Harp Lager. They also win a chance to audition for CBS Ireland next June. In 1982, Samuel George, Jr., lead singer of The Capitols, who had a US # 7 single with “Cool Jerk” was killed, aged 39, after being stabbed during a family argument. In 1990, Hall And Oates, Whitney Houston, Dionne Warwick and Barry Manilow take part in Arista Records' 15th anniversary concert where they raise over $2 million for various AIDS organizations. In 1990, Rick Grech, bass player with Family, Blind Faith and Traffic died of kidney and liver failure. In 1997, the RIAA announced that the Eagles' 'Greatest Hits' album had tied Michael Jackson's 'Thriller' as the all-time best-selling album in the US. 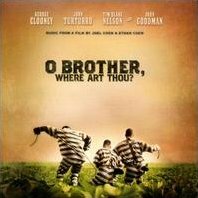 In 2002, the Soundtrack album 'O Brother, Where Art Thou?' started a two week run at #1 on the US album chart. In 2004, the Kinks' Ray Davies received a CBE medal (Commander of the British Empire) from Queen Elizabeth II at Buckingham Palace for services to the music industry. The CBE is considered to be one level below knighthood. 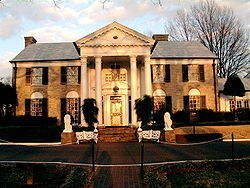 In 2006, Michael Jackson closed the house on his Neverland Ranch in California and laid off a handful of employees, although some workers remained to maintain the rest of the property. In 2008, Ola Brunkert, the drummer for ABBA on all of their albums, died after he hit his head against a glass door in his dining room, shattering the glass and cutting himself in the neck. He managed to wrap himself with a towel around but collapsed before reaching help. He was 62. In 2011, Ferlin Husky, a Country-music entertainer who reached the Billboard Top 40 twice with "Gone" (#4 in 1957) and "Wings of a Dove" (#12 in 1960), died of heart related problems at the age of 85. Celebrating birthdays today include Paul Kantner of Jefferson Airplane/Starship (1941), Billy Corgan from the Smashing Pumpkins (1967), Caroline Corr of The Corrs (1973), & John Sebastian of the Lovin’ Spoonful (1944), among others.